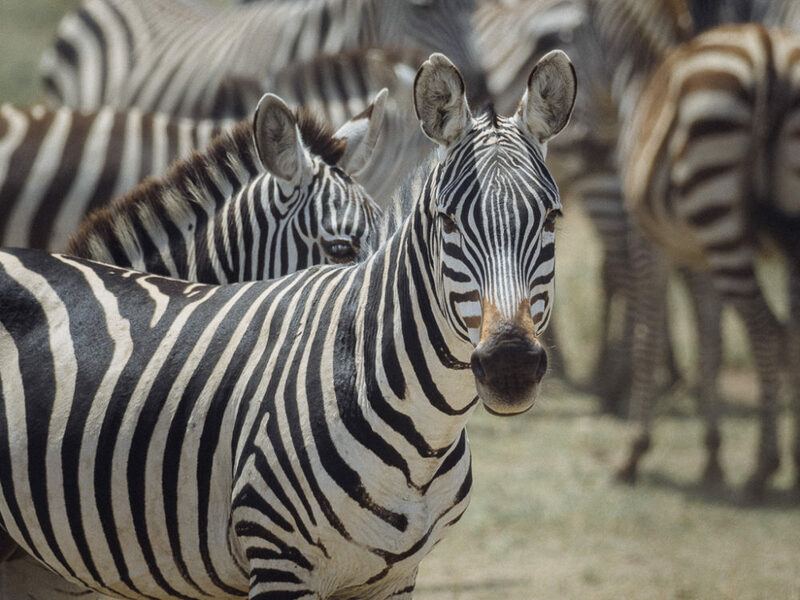 Ole had found a super nice pricing to stay at the Kuba Kuba tented lodge in Seronera, in the heart of central Serengeti. 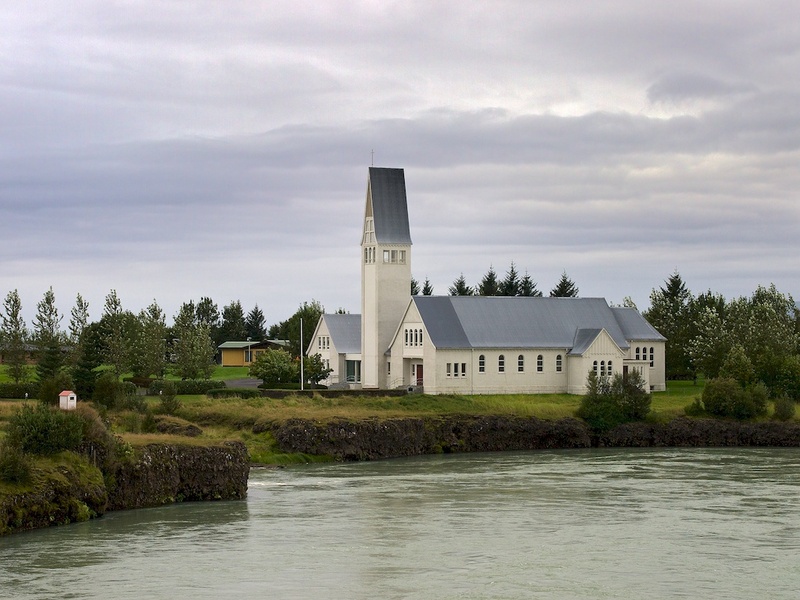 It is a semi-permanent ultra-luxurious lodge, with 80m² tents, hot running water and electricity and even a swimming pool. 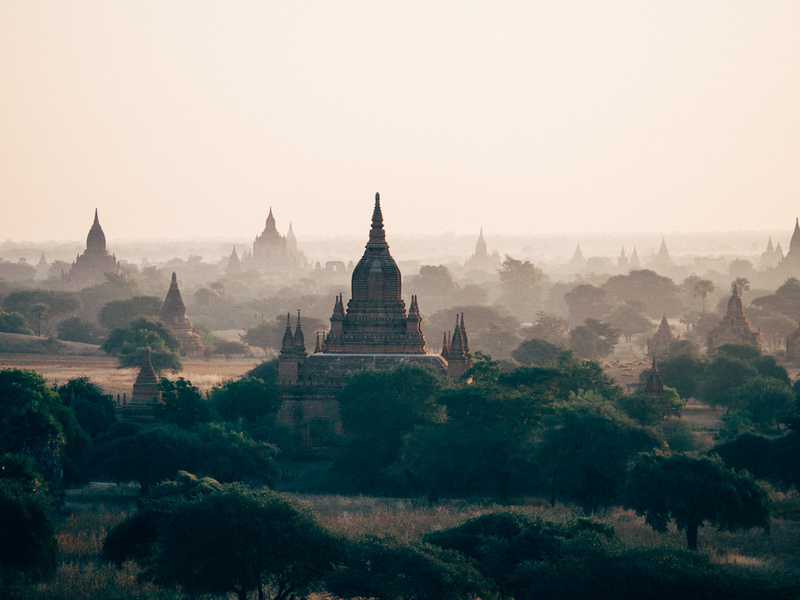 We stayed for three nights and had two full days of safari. 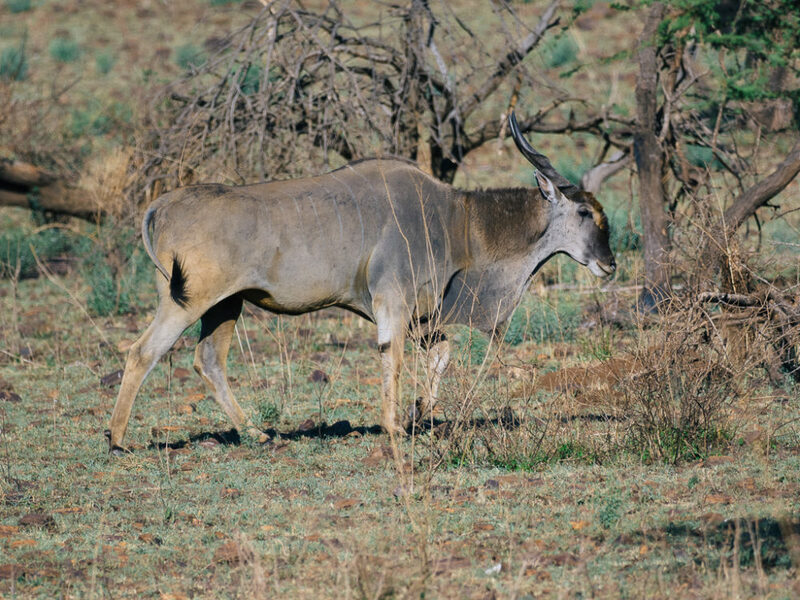 The Eland (taurotragus oryx) is the largest african antelope and one the shyer. 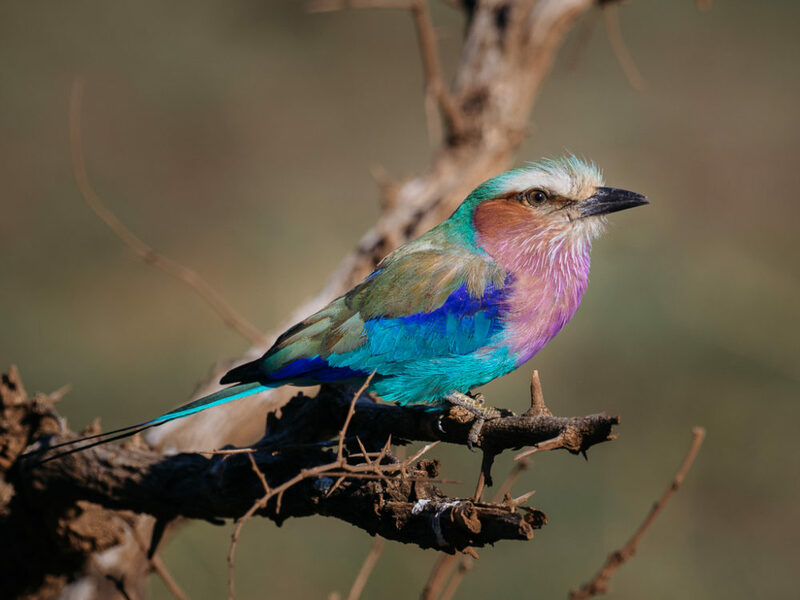 A lLilac Breaster Roller sitting on a tree branch in Serengeti. 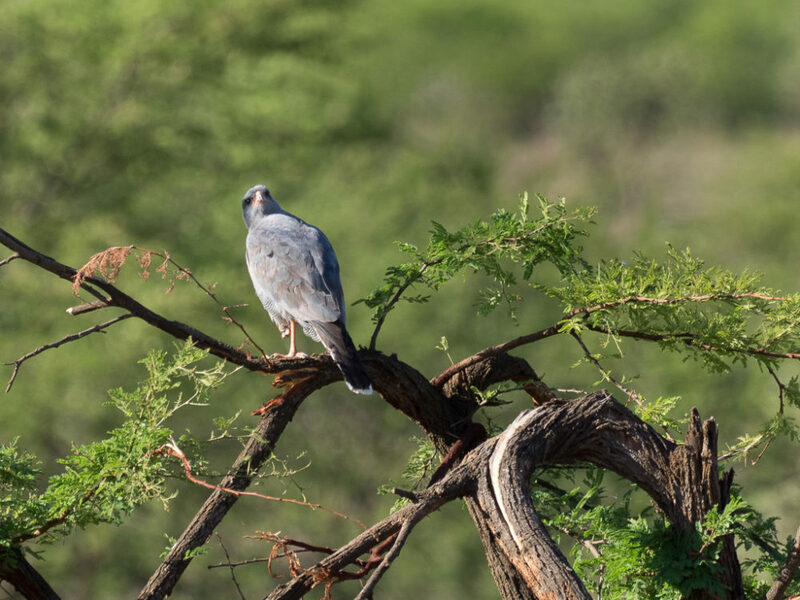 An Eastern Chanting Goshawk in Serengeti. 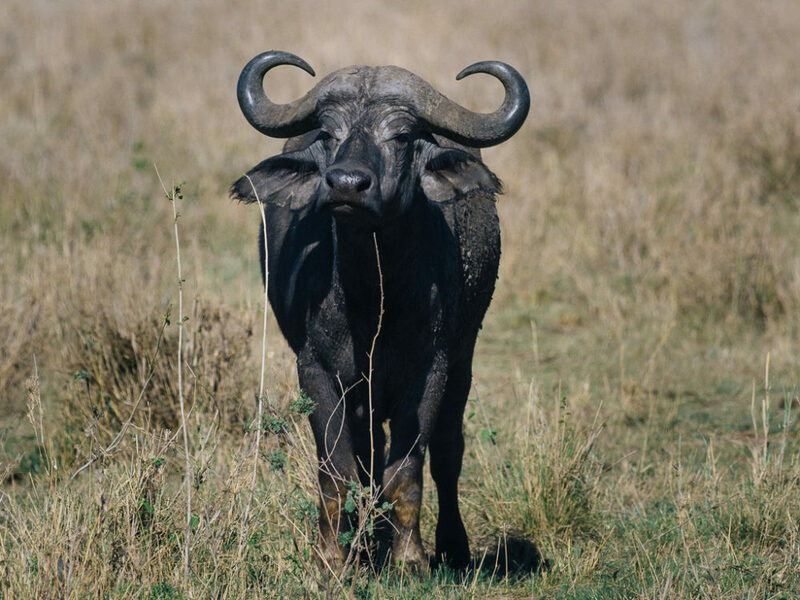 A fuffalo grazing in Serengeti. 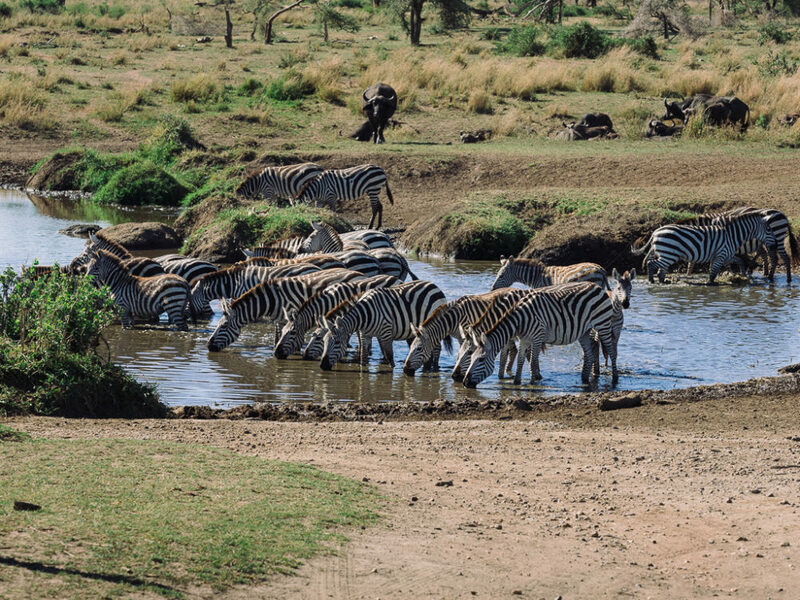 Zebras drinking water in Seronera. 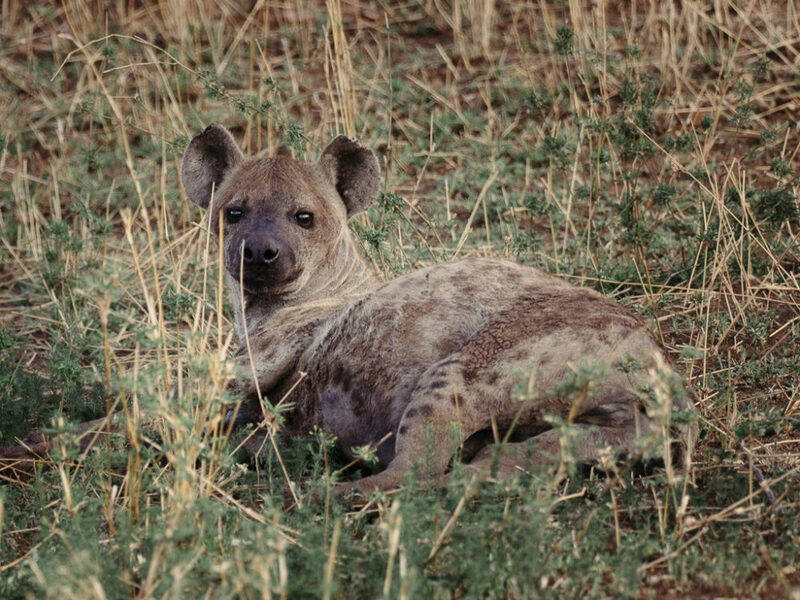 A hyena in the Serengeti plains. 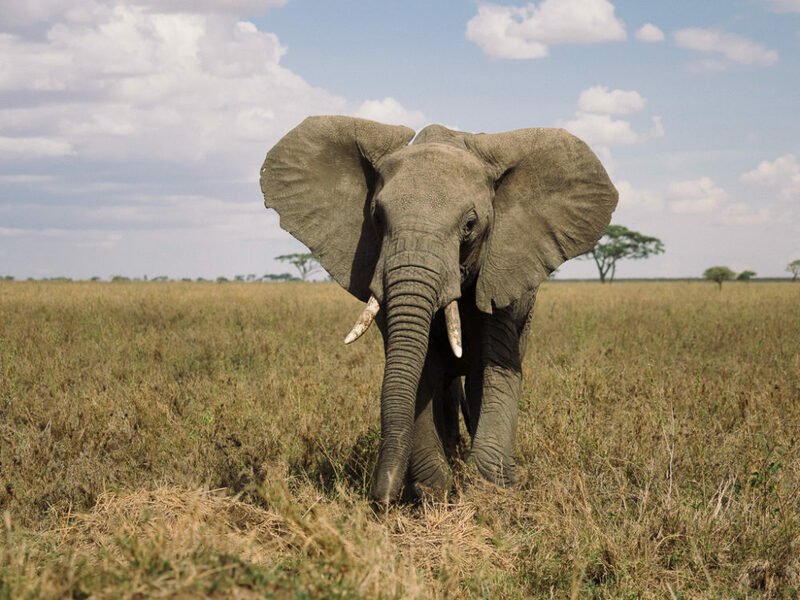 A female elephant in Seronera. A zebra looking at me in Seronera. 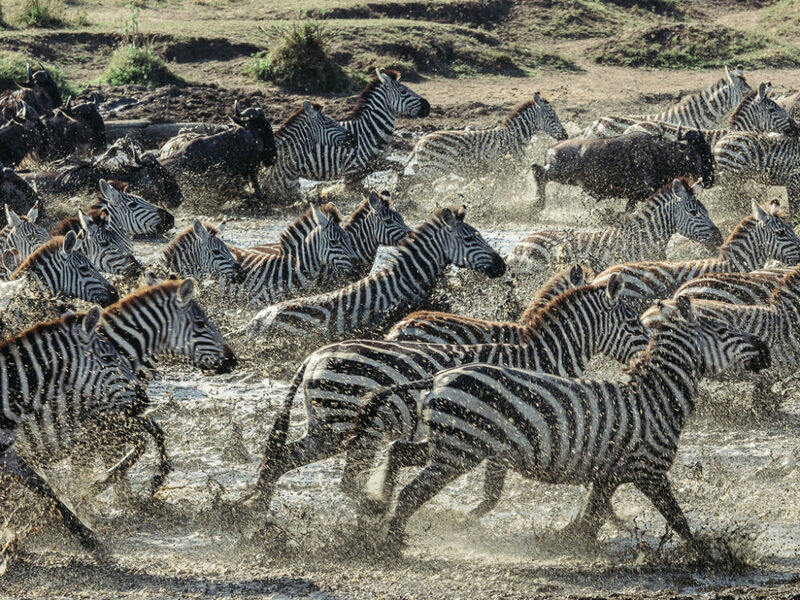 Herds of zebras and widebeest in Serengeti. After wandering around for a while in Seronera, we arrived to a kopje, where a leopard was resting a few meters away from a lioness! 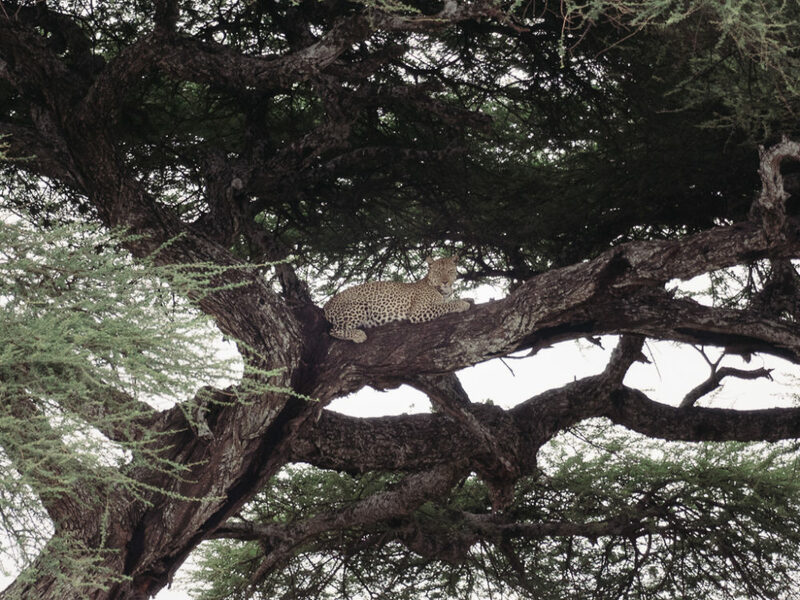 It is always esxiting to spot leopards, the most elusive of the big cats, especially when they are not on a tree. 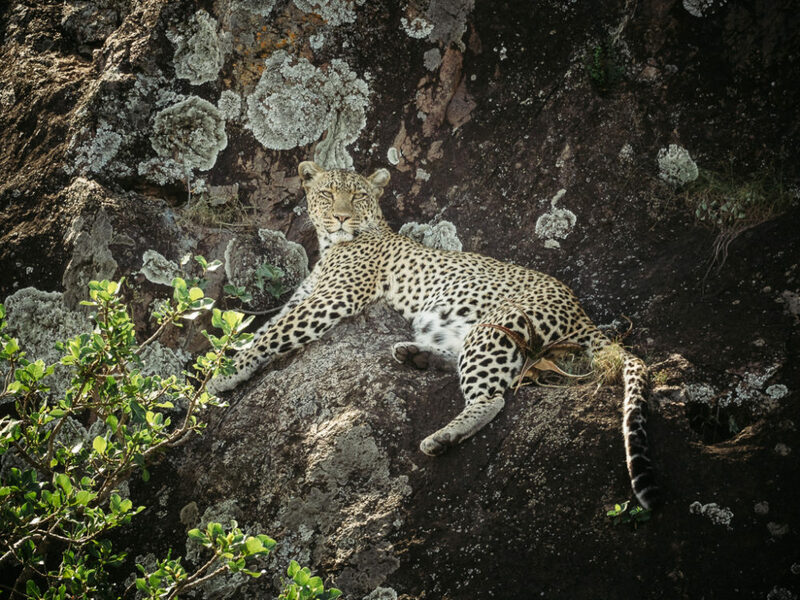 A male leopard, resting on a kopje in Seronera. 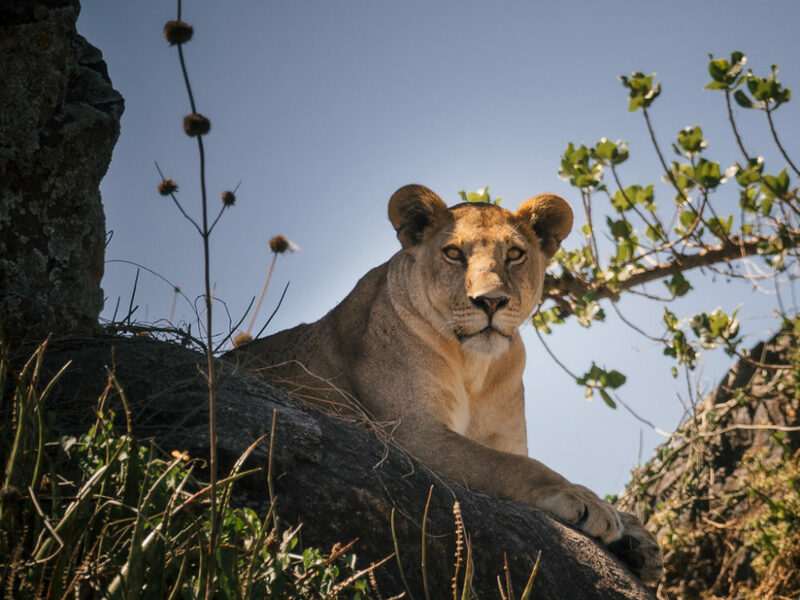 A lioness resting on the same kopje, a few meters way from the leopard. Just 500 meters way, there was a second leopard, eating a kill. It was rather far from opur vehicle. 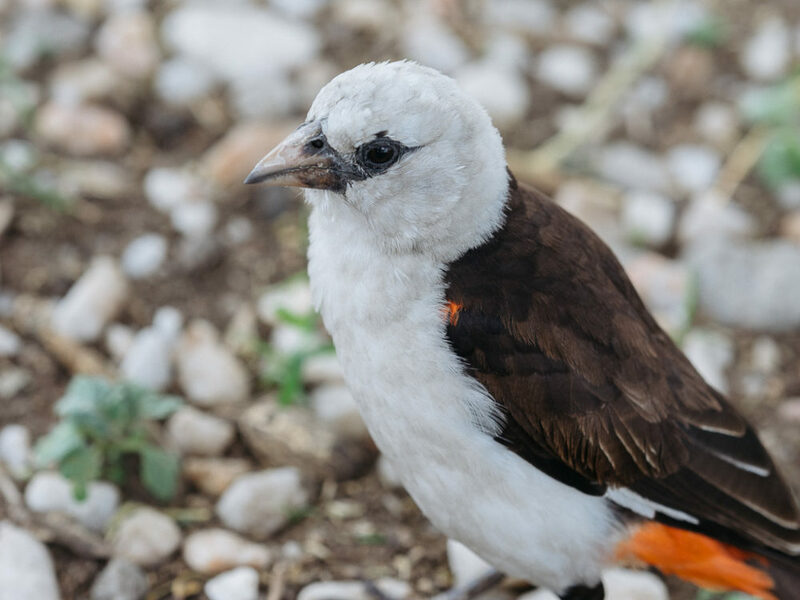 The follwing shot was with a 300mm and the TC 1.4 teleconverter, effectively a 840mm equivalent focal length. A leopard on a tree, just about to eat his lunch. Later, we met a couple of lions honeymooning in Seronera. 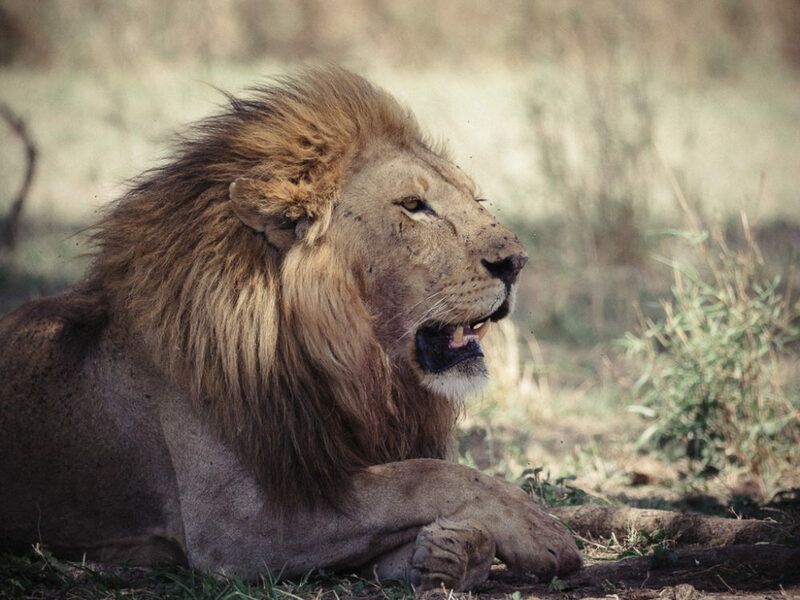 The male lion resting in between honeymooning sessions. After lunch and some rest, we drove towards the hippo pool, about one hour away from our camp. 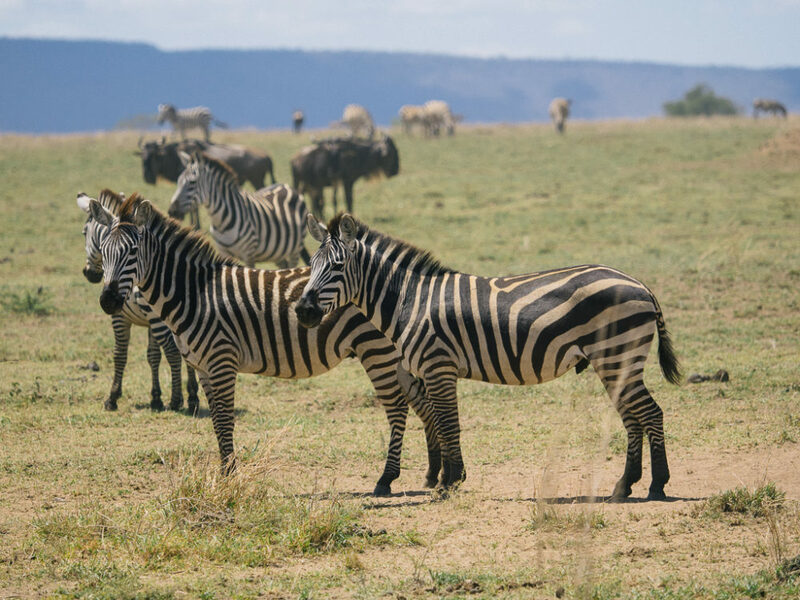 Along the way, we spotted dik-dik, water-bucks, topi and the usual herds of zebras and wildebeest. 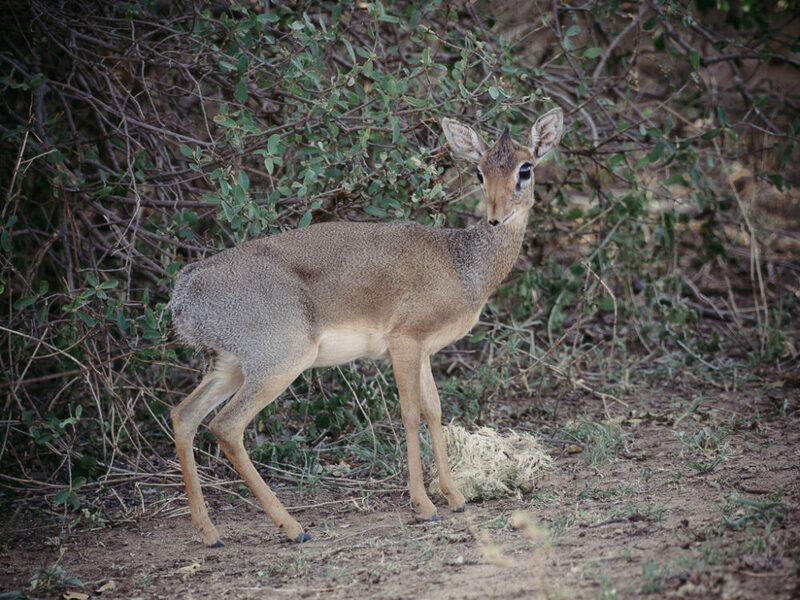 A dik-dik, the smallest of antilopes, in Seronera. 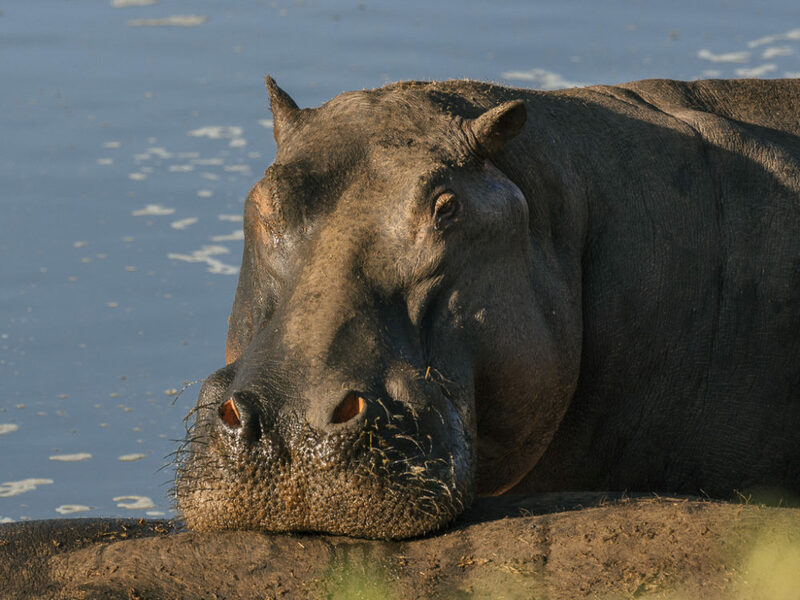 One of the hippos in the central Serengeti hippo pool. 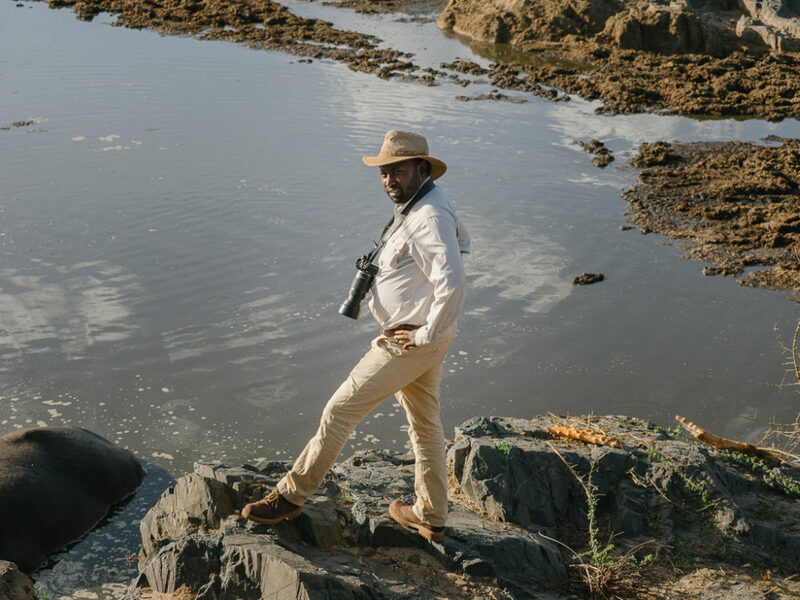 My fvery good friend and guide, Olemisiko, a truly proud Masai. 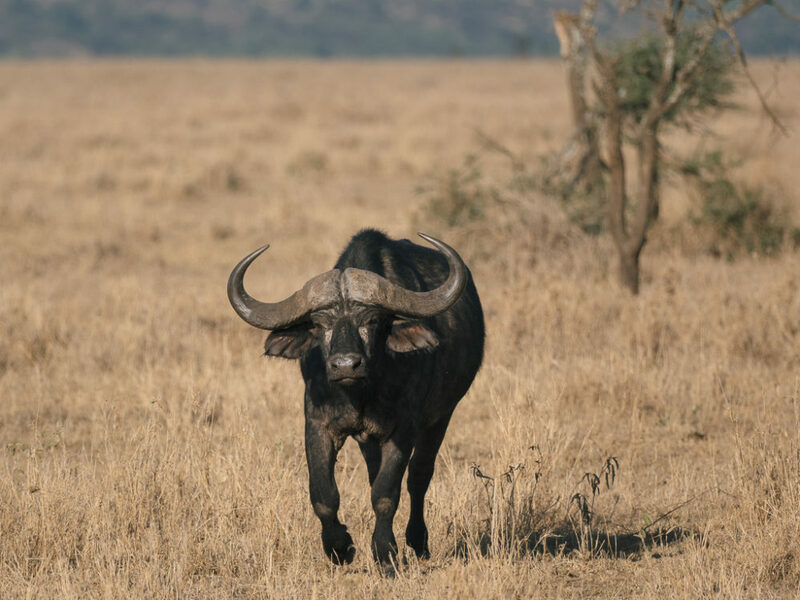 A topi antilope in Serengeti. 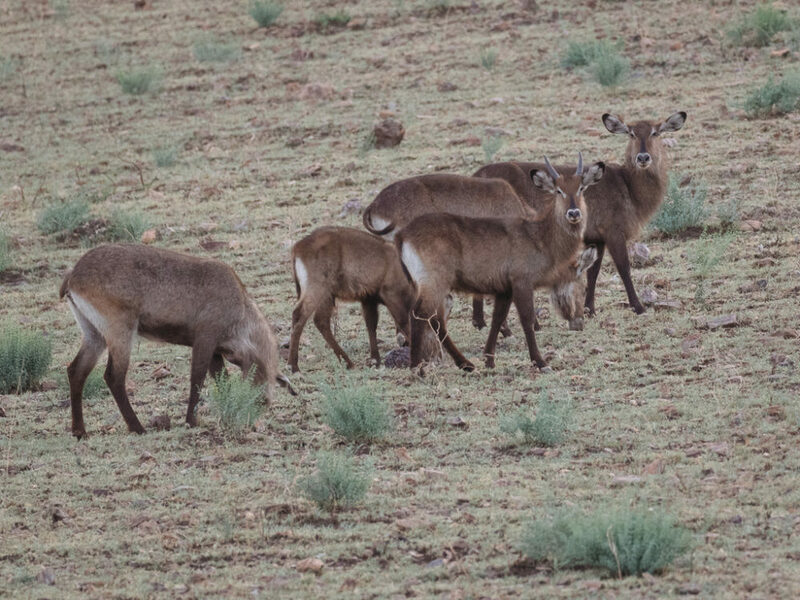 A herd of waterbucks near our lodge in Seronera. The next morning, we set early for our second day in Seronera. 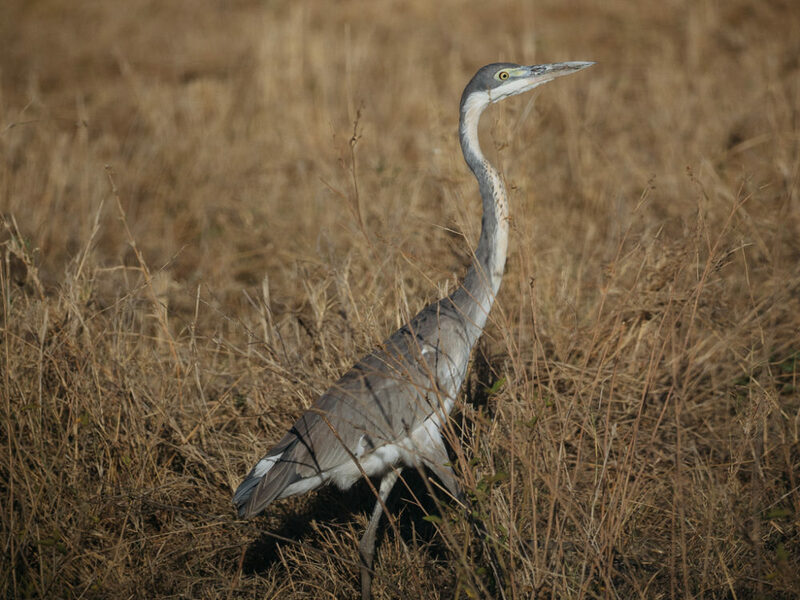 A heron walking in the bush in Serengeti. 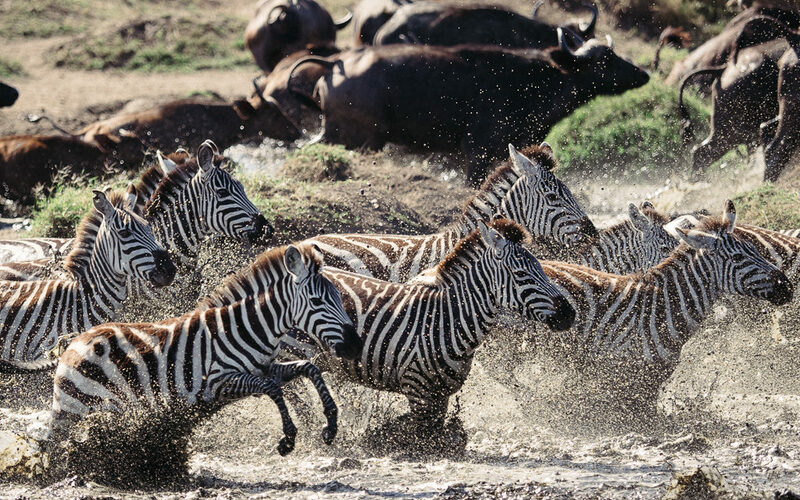 A herd of zebras running away from a waterhole. 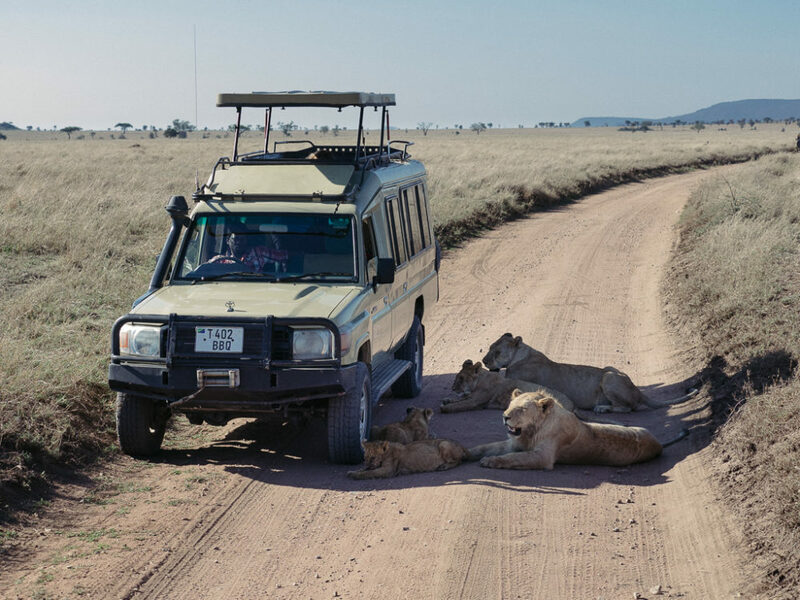 Lionesses with cubs finding some shade under a safari vehicle. 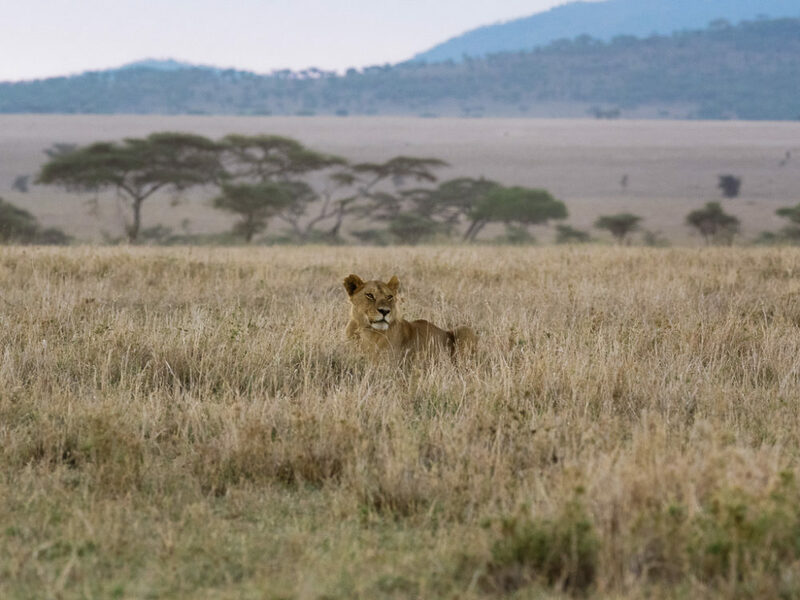 A young male lion was feeding on a wildebeest kill. 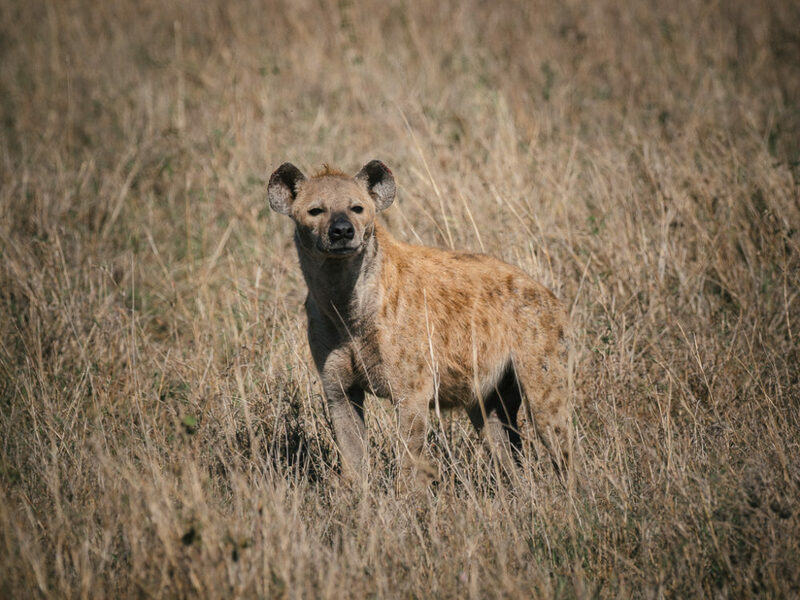 A group of hyenas was waiting for their turn, which came only after they were chased repeatedly away by the lion. 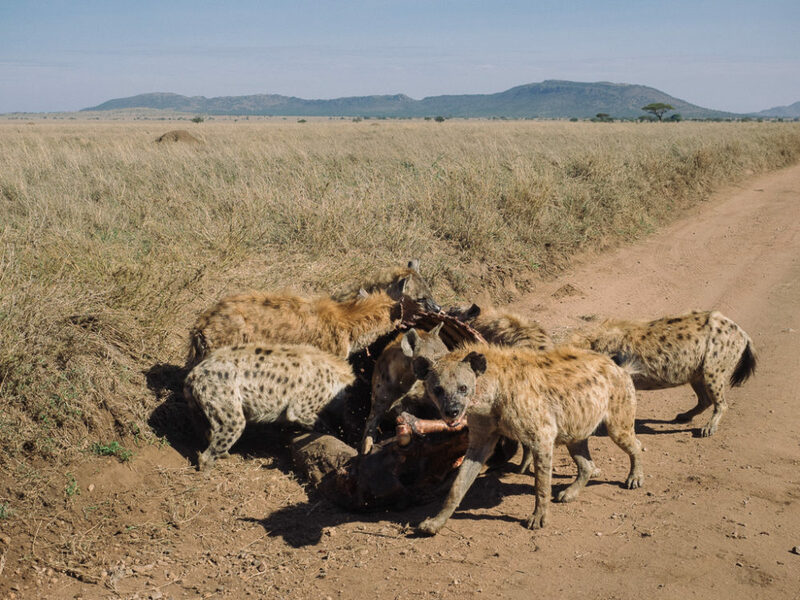 A group of hyenas, eating the left overs of lion kill in Seronera. Vultures were flying low, waiting patiently for their turn on the carcass. 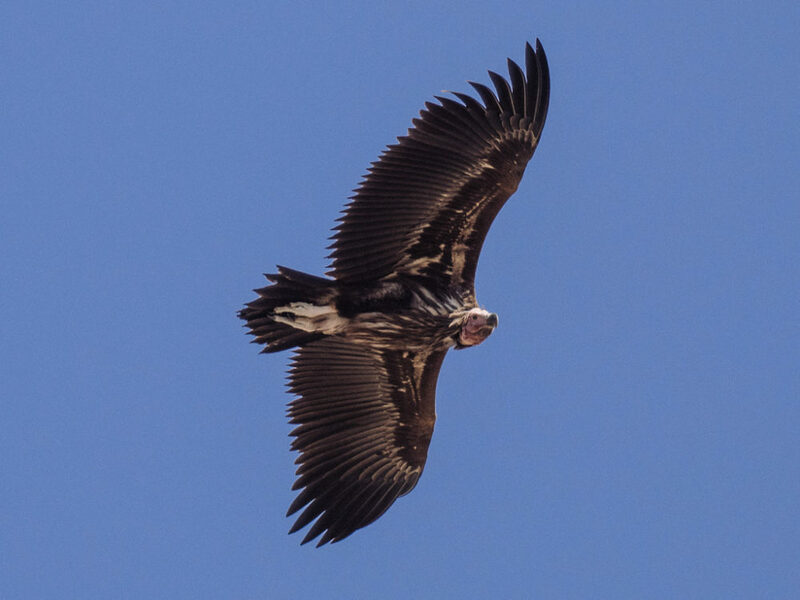 A vulture flying over a lion kill in Seronera. 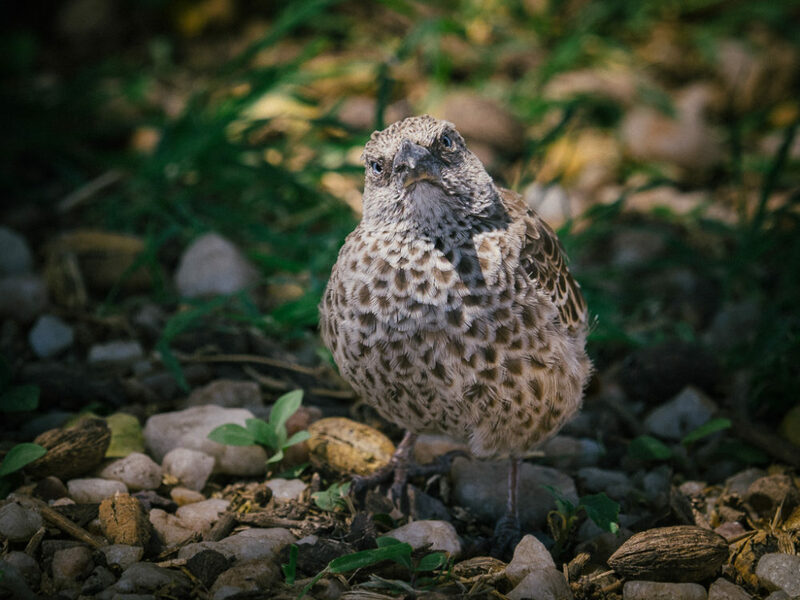 We stopped at the rest area, where there was a tiny water pool that attracted some interesting birds. 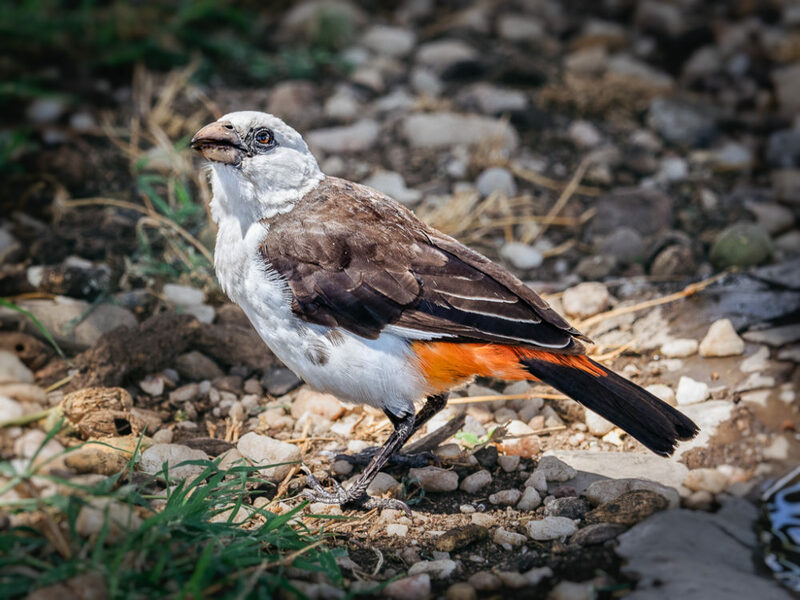 A Rufous-tailed weaver, in Serengeti. 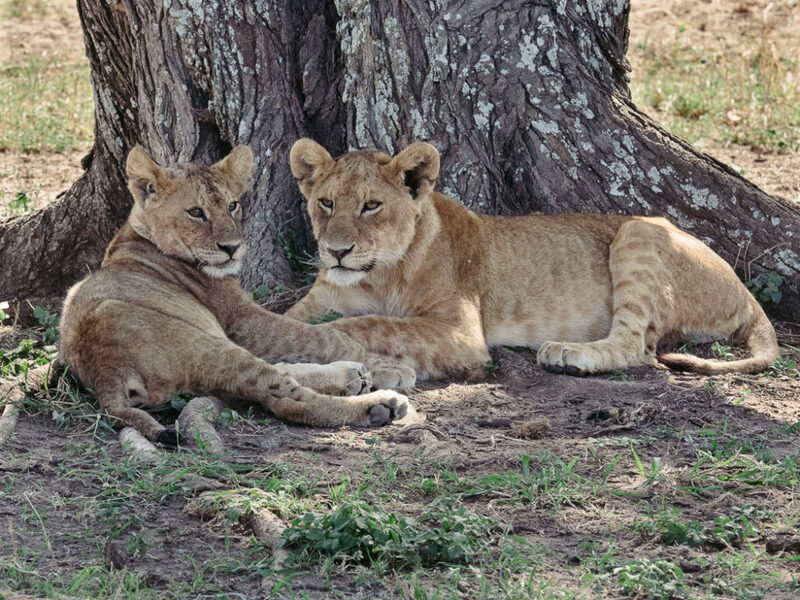 Before noon, we located a pride of lions resting under a tree. It was the pride of the male we saw the day before, copulating in Seronera. 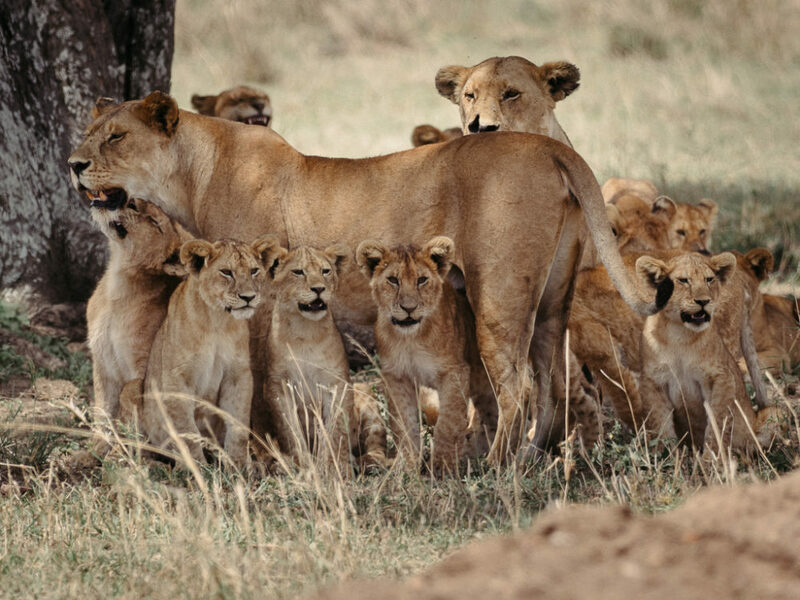 The couple was continuing its honeymooning, only a few meters away, while the rest of the pride members were digesting their lunch. 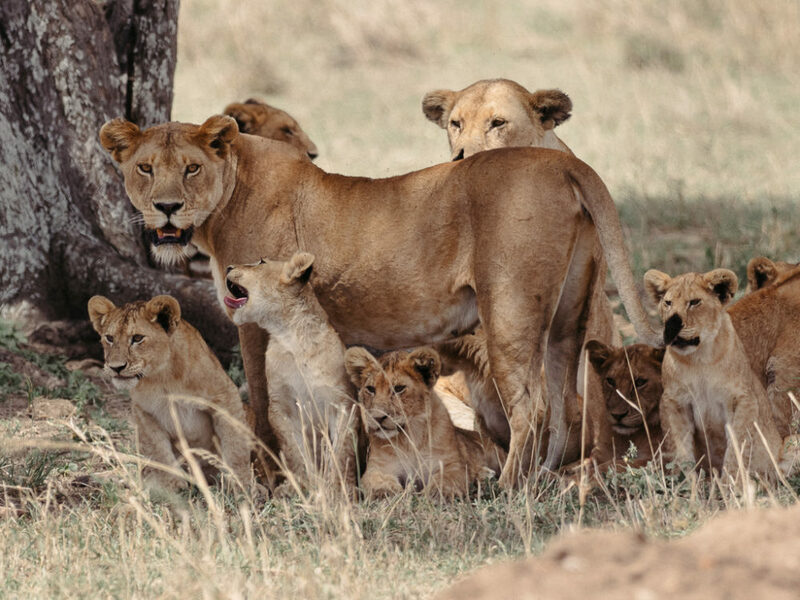 Two females with their cubs in Seronera, central Serengeti. 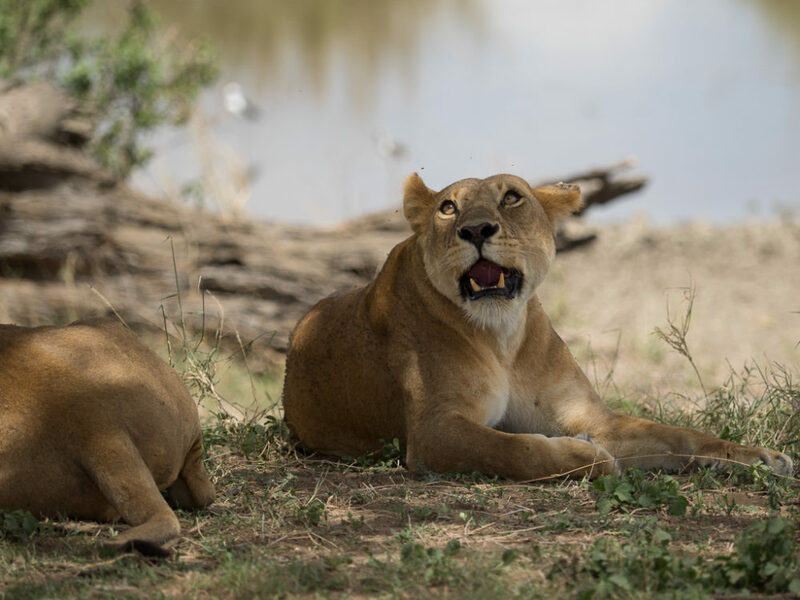 A lion couple climaxing in Serengeti. 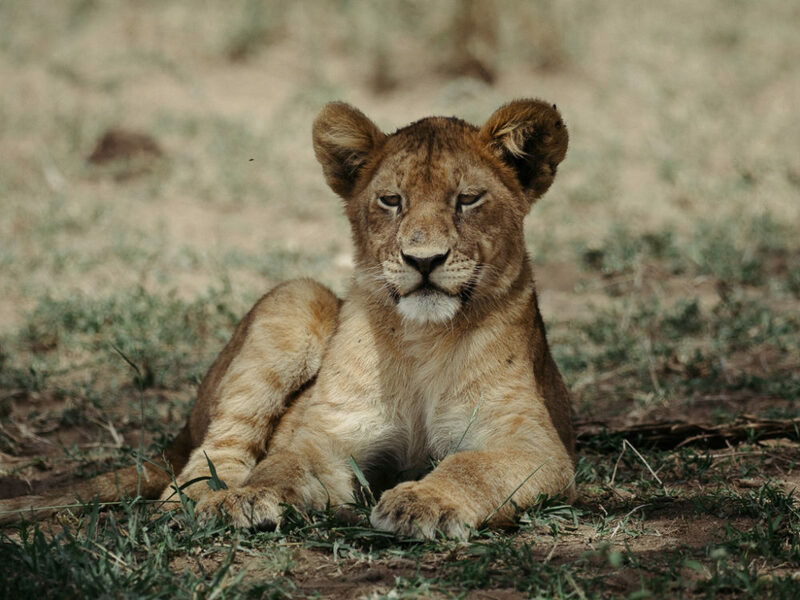 A lion cub, part of a big pride in Seronera. A while later, we came across a herd of elephants. 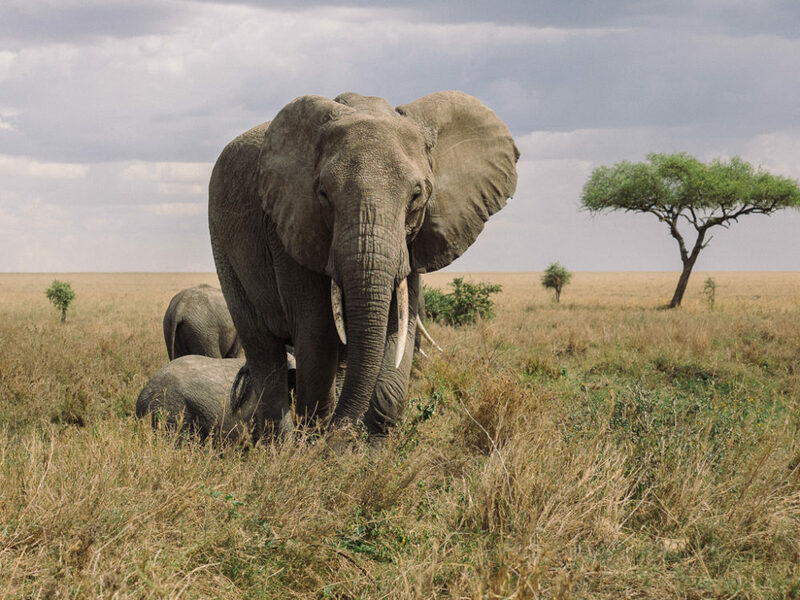 A big female elephant in central Serengeti. 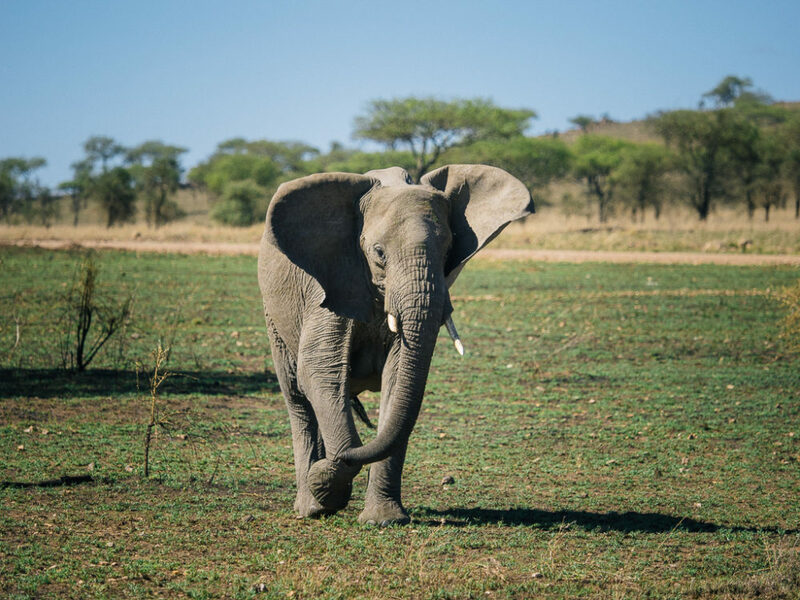 An elephant in Seronera, central Serengeti. We spotted a cheetah in the bush and waited for a while to make a hunting move, without any luck. 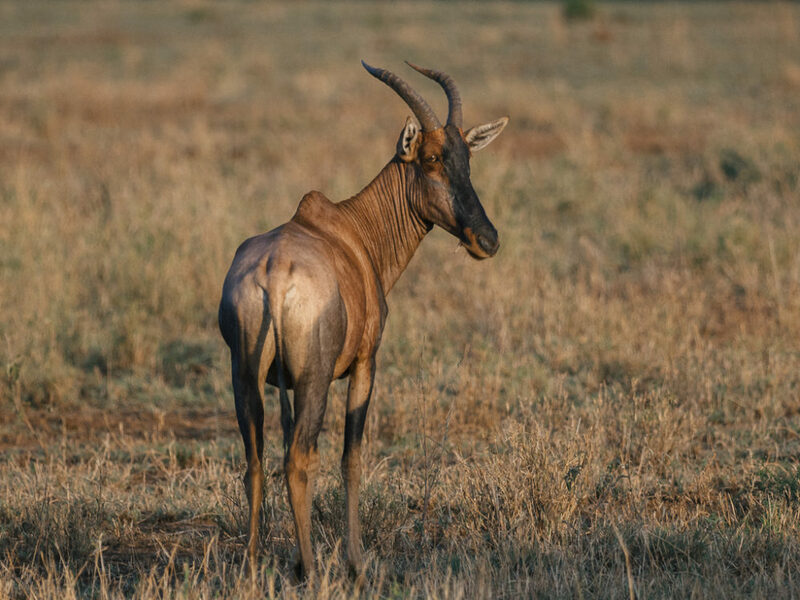 In the afternoon, we heard from some guides that it had hunted a Thomson gazelle. 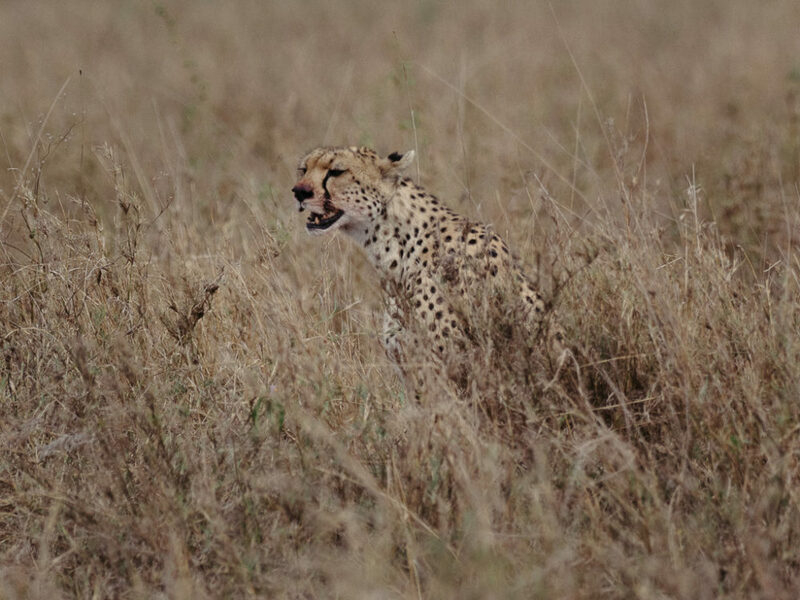 A cheetah hiding in the high grass in Seronera. Before returning to the lodge, we stopped by the Seronera water hole to watch a herd of elephants drinking water. 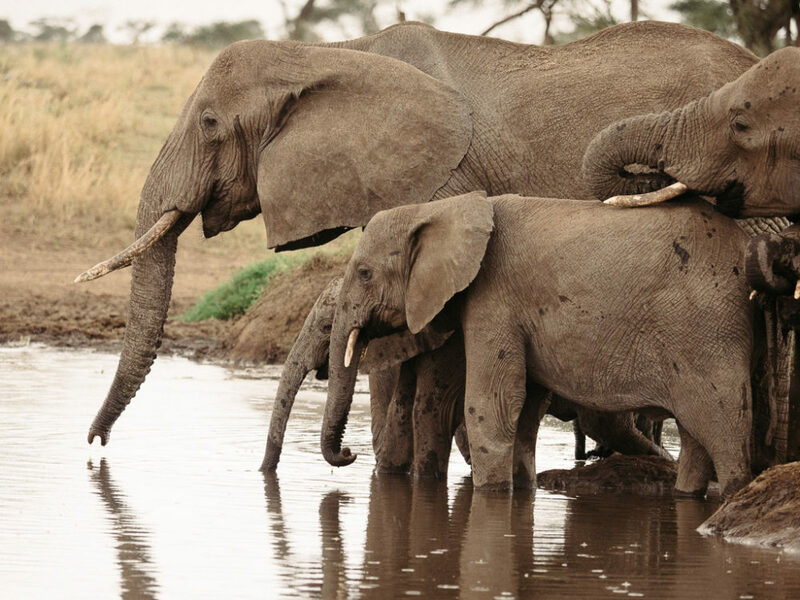 A herd of elephants drinking water out of a water hole in Seronera. 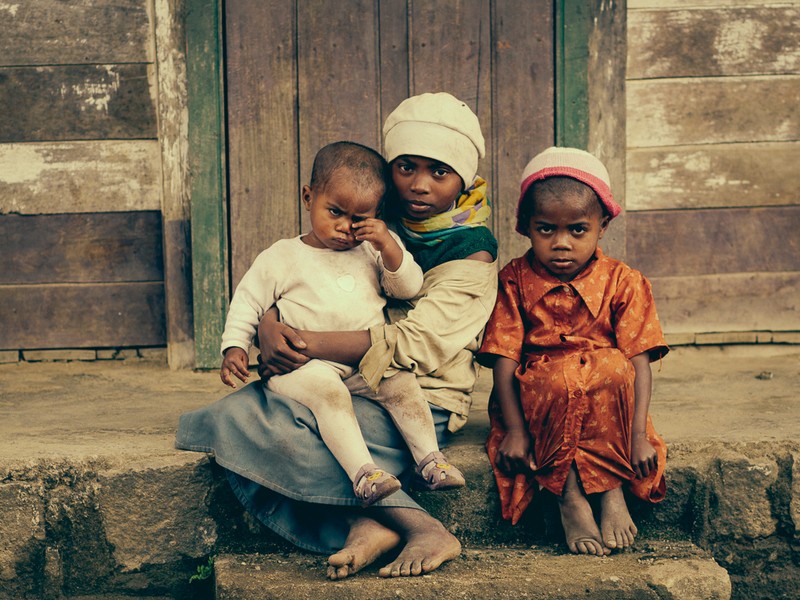 On the third day, we had the chance for a morning safari before taking the plane back to Arusha. 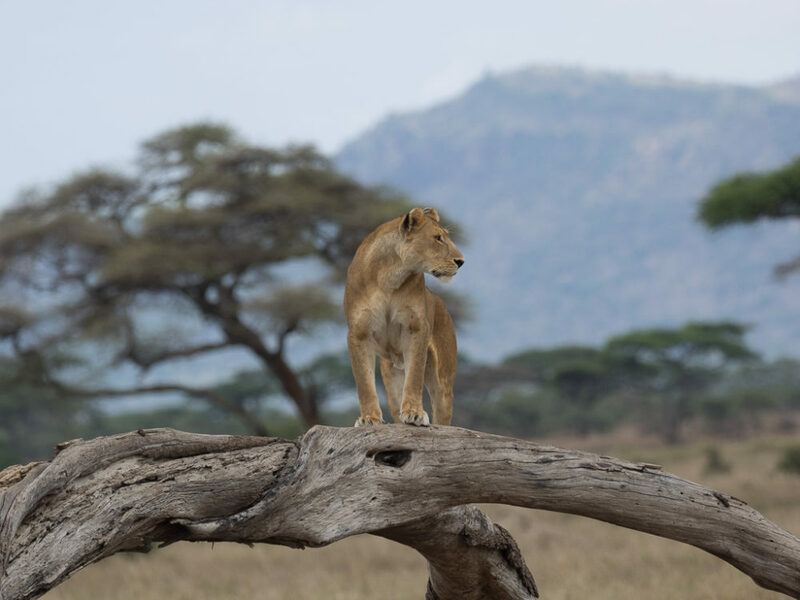 A lioness scouting for prey in Seronera. 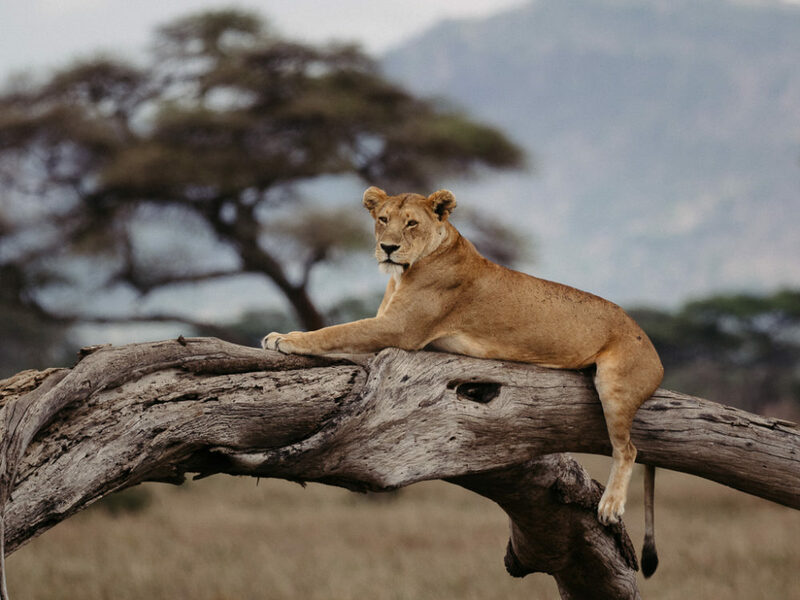 A lioness resting on a tree in Seronera, central Serengeti. We had the chance to enjoy Serengeti form the plain during the short 45 minutes fly to Arusha on the Cessna Caravan. 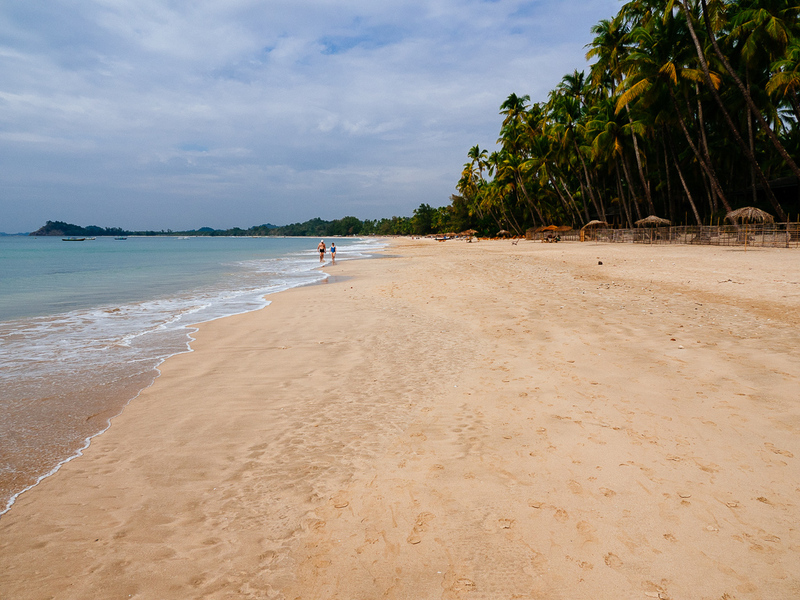 After a couple of hours waiting there, we took the plane to Zanzibar.